Critically Acclaimed: The Two-Shot: 'Catwoman' and 'Working Girl' with Rachel Cushing! 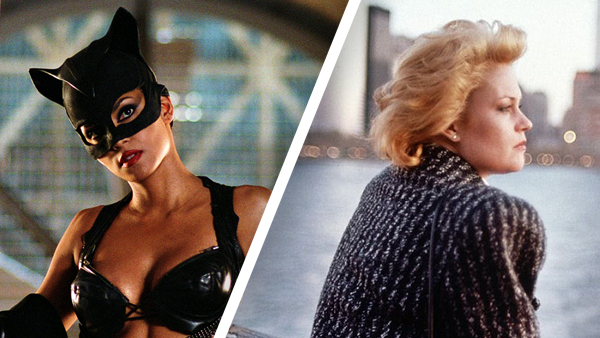 The Two-Shot: 'Catwoman' and 'Working Girl' with Rachel Cushing! Rachel "The Crusher" Cushing from The Movie Trivia Schmoedown joins us this week, and she brought the Halle Berry "Catwoman" with her! It's one of the most baffling superhero movies ever made, and the trivia champ helps us dissect everything that works (not much), doesn't work (a lot) and almost works (more than you'd think) about this notorious 2004 disaster of a movie, in an all-new episode of THE TWO-SHOT! And on the classics front, Rachel Cushing helps William Bibbiani and Witney Seibold introduce and analyze another film about a meek woman, spurned by her wicked boss, who adopts a new identity and finds her power. It's the Oscar-winning Mike Nichols dramedy "Working Girl," starring Melanie Griffith, Sigourney Weaver, Harrison Ford, Alec Baldwin and Joan Cusack!